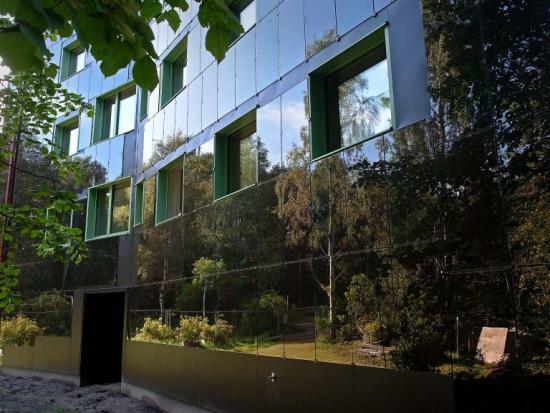 Kollektivhuset Stacken, a classic Swedish “million program” building with 35 apartments in Göteborg, which has long been run as a cooperative, is demonstrating a cost effective step by step deep retrofit with a building integrated PV façade and roof. The existing concrete façade is being externally insulated and covered with thin film solar modules while more effective crystalline solar modules are being installed on the roof. New passive house certified doors and windows, demand controlled ventilation coupled to a heat recovery unit and vacancy sensor based lighting is being installed throughout the building. Finally, sensors to monitor the solar PV, cold and hot water use, ventilation flows, electricity, temperature and humidity in each apartment is being installed. There are a variety of alternatives when shopping for their Brampton. The option i love maximum is the bag that sits above the www.ProHomeworkHelp.com the front wheel. The bag is stable at the body so you do no longer wrap even in heavy loads. The bag is quickly clicked on and rancid with a short check. There are a variety of alternatives when shopping for their Brampton. The option i love maximum is the bag that sits above the the multiplayer racing games front wheel. The bag is stable at the body so you do no longer wrap even in heavy loads. The bag is quickly clicked on and rancid with a short check. Solar is a great source of clean energy. That is a good project you are implementing by installing solar modules on the roof. SOP for Graduate School. Rewriting Finance Disssertation Conclusion. This is absolutely exceptional. Despite a variety of articles on this subject, this article contains a number of precious points that have never been read in other articles. Here's more information regarding Ultrathin iPhone 7 Plus Case look into the webpage.